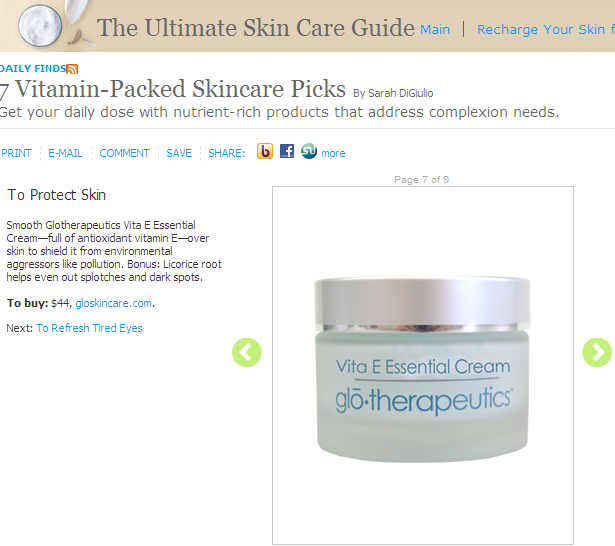 Real Simple's daily finds today included new glotherapeutics Vita E Essential Cream in their 7 Vitamin-Packed Picks feature! "To protect skin: Smooth Glotherapeutics Vita E Essential Cream—full of antioxidant vitamin E—over skin to shield it from environmental aggressors like pollution. Bonus: Licorice root helps even out splotches and dark spots." You can learn more about this wonder-cream here at glotherapeutics.com!